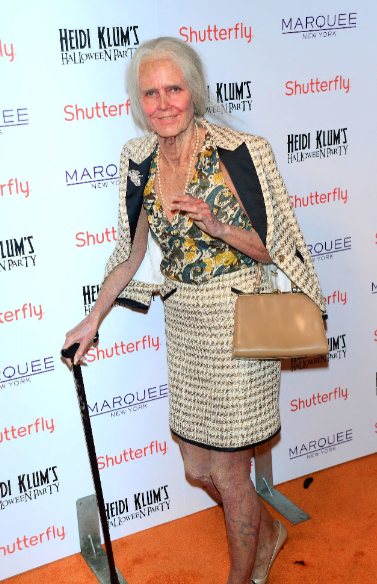 “In our house it’s Halloween all year round,” Heidi Klum once told People. With an Oscar-winning make-up artist and prosthetics whizzes on speed dial, the mother-of-four means serious business when it comes to her spine-chilling fancy dress costumes. This year was no exception for the supermodel. She promised fans her outfit would be one of her “most intense” costumes to date and she didn’t disappoint. The model and television personality went with a Shrek theme this year. 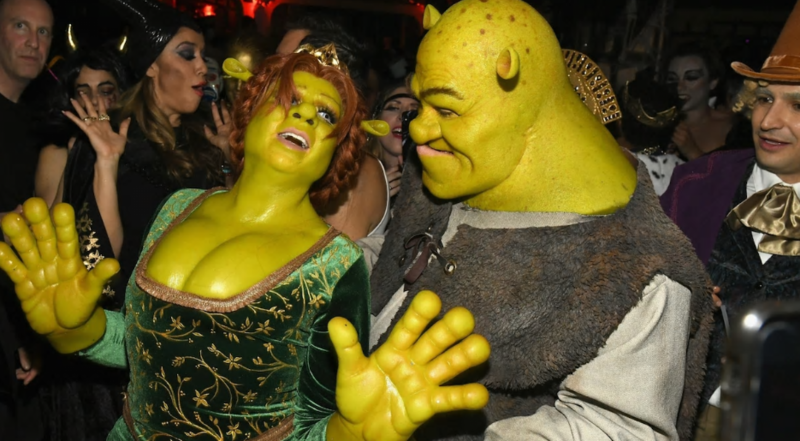 While she looked a spitting image of Princess Fiona, her boyfriend was transformed into Shrek for her 19th annual Halloween party at Lavo New York on Wednesday. Fictional character Jessica Rabbit was Klum’s muse for the 2015 holiday. To get the voluptuous figure the model spent days prior to the party in a prosthetics lab, leading her Instagram following to suspect she might be dressing up as curvaceous Kim Kardashian. 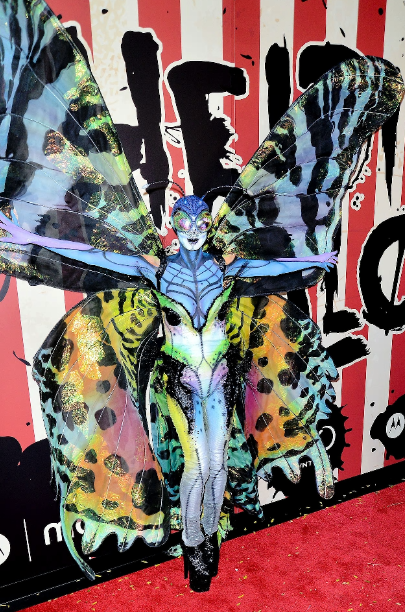 In 2014 the supermodel transformed into a butterfly – a gigantic one, incorporating huge rainbow-hued wings and mesmerising bug eyes. For her make-under Klum was blessed with grey hair, lashings of wrinkles and pigmented skin. The German model, who hosted her annual bash at New York’s Marquee nightclub, topped off her look with a bouclé skirt suit, pearls and a walking stick. 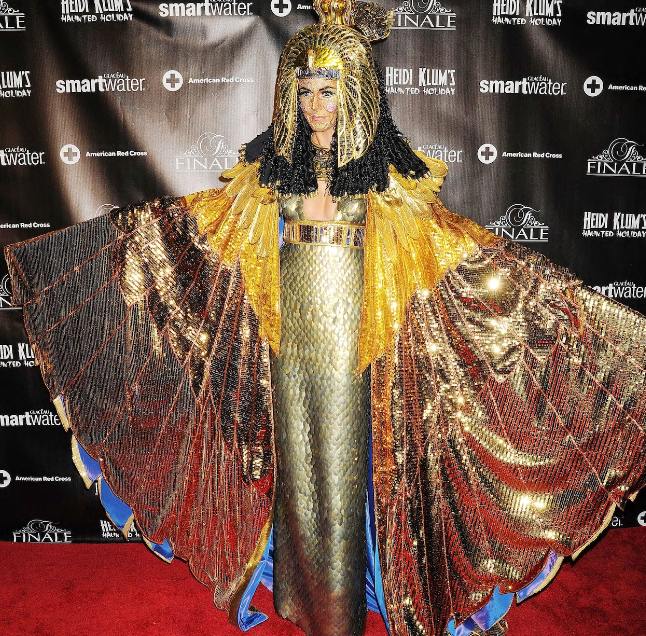 Klum’s costume plans were thwarted in 2012 when Hurricane Sandy hit America’s East Coast. Instead of letting her Cleopatra-inspired costume go to waste, the model changed the date to December 1 and had an extra month to perfect her look. Oscar and Emmy-winning make-up artist, Bill Corso, transformed the model’s face with hundreds of carefully placed crystals, highlighting her cheeks, lips and the bridge of her nose. Talk about razzle dazzle. 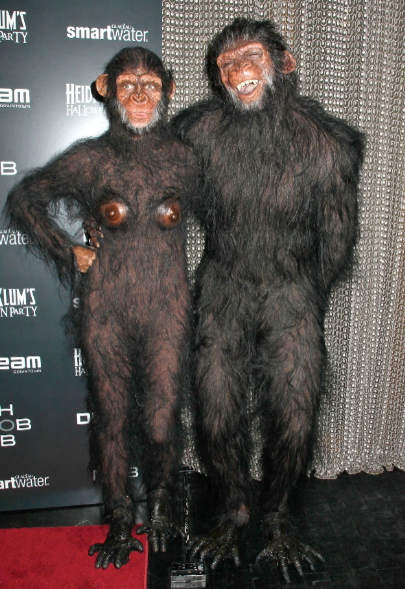 Covered head-to-toe in simian-like hair, Klum even secured a pair of prosthetic monkey breasts for her ape evolution in 2011. Heidi’s husband of seven years, Seal, made for a menacing beau by her side.